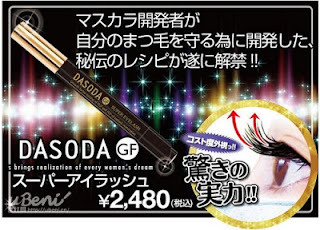 Dasoda SJ VOLUME & LONG MASCARA - Just like wearing eyelash extensions! Transforms the lesser and thin lashes hidden underneath the eyelids into thick, rich and dense long lashes with one application. Volume and long up brush catches ample fiber and applies evenly, creating rich, dense and long lashes as it is layered over. 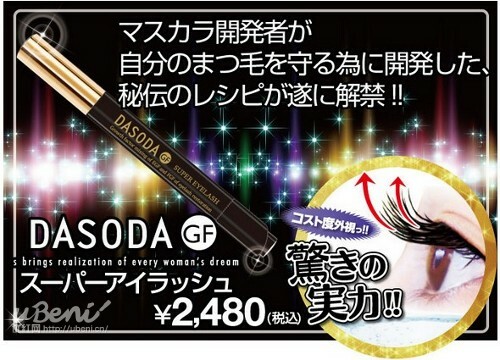 Adheres amply to each lashes and treatment ingredients add strength to accentuate the lashes, making them more defined. Fragrance-free & Water-proof formula that quickly dries and resists tears, sweat and water provides a long-lasting finish. Retail at S$25.90 exclusively at Sasa stores Singapore.